Full of the heart, humor and wonderful characters that I have come to expect from Cecy Robson. This story had me laughing with the antics and asides from Trinity - heartbroken and wanting to hug Callahan, and rejoicing with the times with Trinity's childhood friends. Perfect for those who love an NA story without the angst often seen with infidelities, frenemies and the like. Trinity's family is wonderful, if a bit off-beat, and have no intentions but to see their children happy. With so many stories possible with Trinity's BFF Becky, as well as stories from Hale, Mason and Sean - there are directions to go and more to love here. I've edited this title - so I can't (in good conscience) give it a star rating. But - you won't want to miss this one. It's sure to score high with NA and contemporary romance readers alike - as it's character driven with plenty to intrigue. 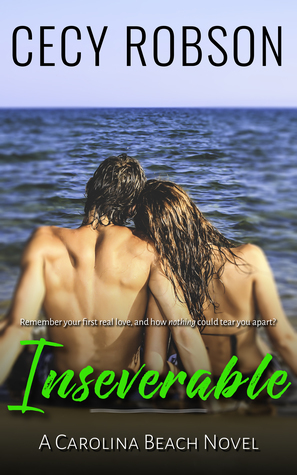 Sign into Goodreads to see if any of your friends have read Inseverable.